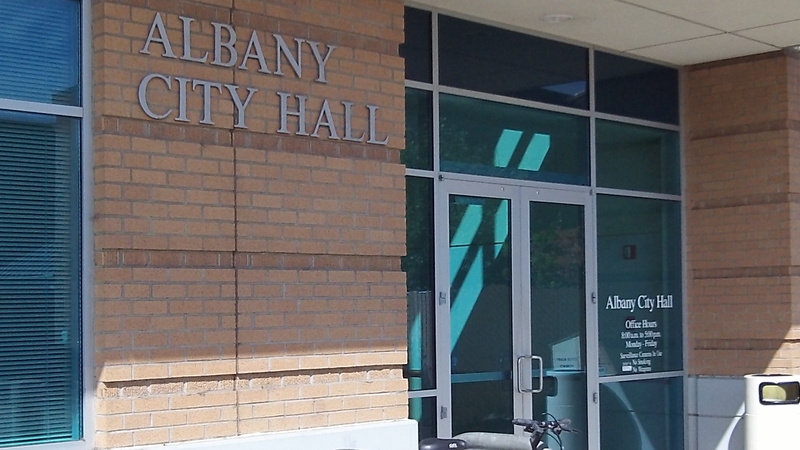 City Hall will get 7 percent of your Albany electric bill, up from 5 percent. Pacific Power customers in the city of Albany have been paying 5 percent of their light bills to the city government for years, and they’ll pay 7 percent starting now. The city council Wednesday adopted an ordinance to that effect, brushing aside objections from Councilor Rich Kellum that an “emergency clause” was not justified in this case. The ordinance has such a clause, letting it take effect immediately. Without it, it would have taken effect in 30 days, costing the city and saving ratepayers an estimated $75,000. Cordier asked the council to have more of a public discussion about an increase that large — estimated to yield more than $900,000 over a year’s time in city revenue — and he urged that a public hearing be called, to no avail. The ordinance grants Pacific Power a franchise and fixes the franchise fee at 7 percent of gross revenue, replacing the 5 percent privilege tax it has been collecting and paying the city. The ordinance had its first reading two weeks before, and on Wednesday the council adopted it after its second reading, 5-1, with Kellum voting no.. The council took no action on an alternative version drafted since the last meeting, intended to made numbering changes to better conform to the municipal code and also exempt Pacific from paying the city’s 5 percent privilege tax now that it will pay a 7 percent franchise fee. Under state rules, Pacific can itemize on customers’ bills any city fee above 3.5 points, but it must pay the city the total, even the part not itemized. For the arithmetically challenged, the city’s share of a Pacific Power bill of $100 until now was $5, and starting today — or as soon as the utility can adjust its billing software — it will be $7. But only $3.50 will be itemized on the bill. Up until today this charge was called a “privilege tax.” Now, through the magic of local government it is called a franchise fee. The city council can call it whatever they want It still results in the city reaching their fingers deeper into the wallet of every household and business. Four people on the city council should not have the power to make this decision. My hope is a group of responsible Albany residents step up and launch an initiative petition aimed at voter approval of city taxes and fees. Your Albany. Your money. Your vote. If you folks do not want to support Police and Fire services you should say so clearly, because that’s who is getting the vast share of this income. Then let them say so up front, instead of receiving funds through the “back door”. I guess they’re afraid the levy wouldn’t pass if the citizens knew the TRUE COST of their “services”. I wasn’t aware we need an increase in Police and Fire services. We support CURRENT levels of funding. This is just a money grab and YOU can justify it any way you want to. Better yet, just write a check and call it a donation since you’re so fond of government and the ways they find to spend your TAX money, which is what this is. Hopefully, someone that’s more organized than me can start a recall petition. An initiative petition titled “Act requiring voter approval of city fees and taxes” was filed this am with the city. I don’t see how someone who was in the tax office could be puzzled by simple math. 7th grade math shows t that 40% of 5 is 2, and adding 2 to 5 to get 7 is a 40% increase. The taxes really just keep on coming this year — property tax increases as usual, water rates up, utility rates up, extra bonds for police and fire. As usual, my pay is not increasing at this rate, and I continue to lose ground. You need to get a grip Shaun. If your electric bill was $100 a month, the 5% tax raised the total to $105. Now a 7% tax rate would raise it to $107. That is $2 more out of your pocket per month per $100 of electricity billed. It DOES NOT raise your entire bill by 40%. You see, extremist consertavies, and reporters, look at the tax rate change, not the effect on the consumers bill. It’s all part of what’s called disinformation and voter manipulation. Bob, You need to stop calling others names and increase your reading comprehension. You are the one here that appears a fool, not us “extremist conservatives.” Get a grip yourself, pal. NOBODY here, or anywhere else I’ve seen, says their power bill was going up 40%…..only the TAX part. And it IS A TAX. Has government in this country EVER done anything wrong in your eyes? OK Hasso, but I think you’re wrong about what people think. A 40% change in a SMALL rate is basically meaningless unless related to what the effects are TO THE PEOPLE WHO PAY IT. When you folks go gaga over “a 40% change” you inflame folks, like Shawn, who see 40% as the key. It’s not. The key is the REAL change to peoples COSTS which is just over 2%. Add the fact that the rate hasn’t been changed in many years and it is not a great burden to the vast majority of people. The city is in process of building new facilities to accommodate the needs of police and fire, which has been evident for over a decade. Now, Gadfly Tom and his cohorts of the extreme right seek to slash millions from the funding over police and fire or why would they automatically cancel ALL the existing revenues and thereby slash police and fire personnel. The only other significant cuts would have to be to the Library, which would probably have to close if police and fire are held harmless. Bob, We are told the curent Police and Fire stations are crowded beyond capacity….hence the need for the newly approved facilities. We haven’t even broken ground for either of these projects, yet you support funding these services as if the buildings are complete! Hogwash. In a couple of years when the new facilities are complete perhaps there will then be a justifiable “reason” for an increase over current funding levels but not now! This council NICKEL AND DIMES us to death at every turn and we are tired of them and their unabated spending. You cite population increases? Well, more people paying these “privilige fees” (taxes) results in a corresponding increase in the revenues derived from that funding source, WITHOUT this 40 PERCENT increase in these “fees” (TAXES). One question: I’m just dying to know whether YOU live within the city limits…and therefore pay these “fees” yourself. Something, I’m not sure what….makes me think you do not…..which would be very hypocritical, at least in my eyes. Inquiring minds want to know, Bob.